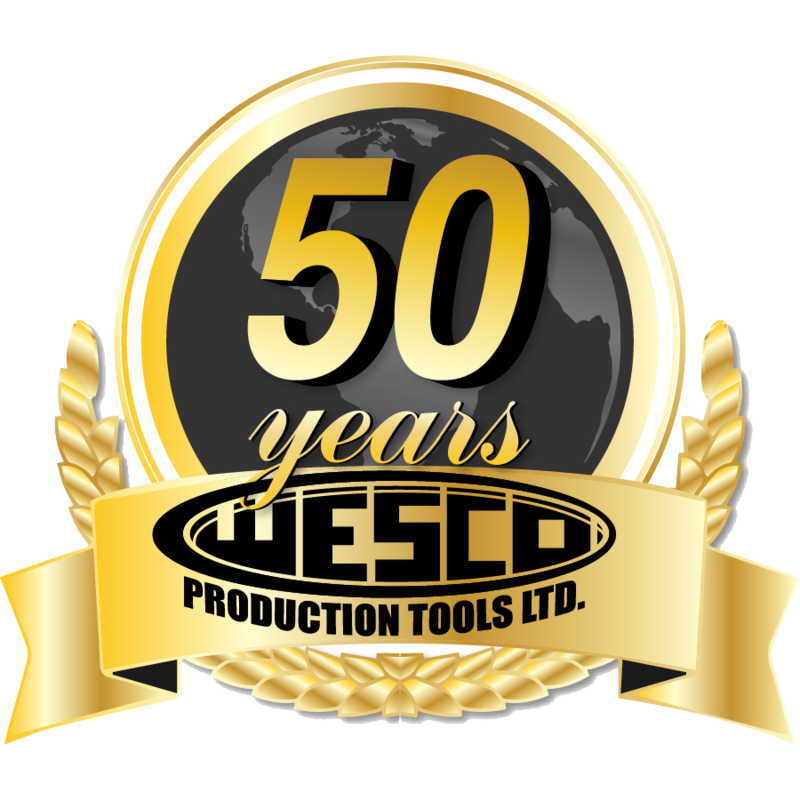 CRANE Torque Testers | Wesco Production Tools Ltd. 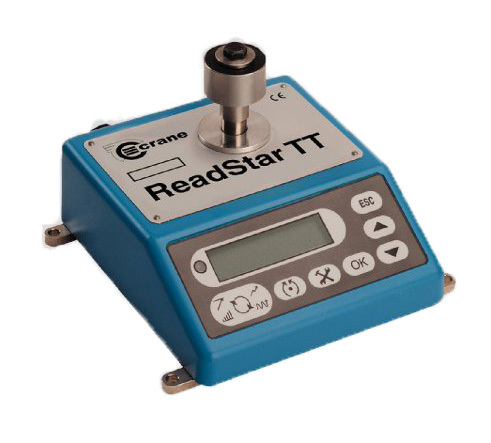 The ReadStar TT is a basic, easy to use readout which allows measurement and collection of torque data, with storage of up to 200 readings and built-in torque transducer. The multilingual software and consistent interface ensures ease of use. This product has a variety of modes and can measure track, peak, 1” peak (click) and pulse. Results are shown on an easy read display. Time and date stamped readings can be set to print automatically. The ReadStar TT can be powered using “C” cells, rechargeable batteries or from the mains. The batteries must be recharged externally to the product, charger not provided. It canalso either be fixed permanently or used as a portable device. 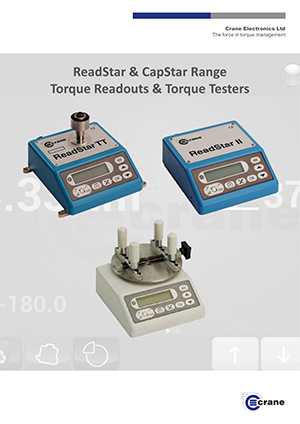 The CapStar II torque tester is a simple and easy to operate digital torque tester specifically designed for usage in the pharmaceutical, food & beverage and cosmetic industries. The ability to accurately measure the release torque on bottle and container closures is an essential discipline to meet the required torque for child-resistant closures, whilst ensuring the end-user can open the product and that product freshness is maintained. The multilingual software and consistent interface ensures ease of use when working with external torque transducers. 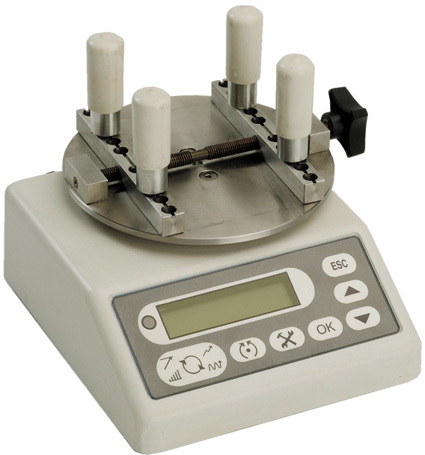 The CapStar II has a variety of modes and can measure track, peak, 1” peak (click) and pulse. Results are shown on an easy read display. Time and date stamped readings can be set to print automatically. The CapStar II can be powered using “C” cells, rechargeable batteries or from the mains. The batteries must be recharged externally to the product, charger not provided. The CapStar II can either be fixed permanently or used as a portable device.